In our years travelling things have changed dramatically. Inspiration for our early trips came from glossy pamphlets at the travel agent or more often posters of the latest special deals in their high street windows. Of course back then what we ended up booking was a blind choice based on one photo and a few features read from the brochure or quoted from the agents screen. Inevitably we were up-sold to something other than the featured deal and at a price that always turned out to be significantly more than the package price. Early in our travelling adventures that was how you booked, you didn’t have much choice or control. Today things are totally different. Not only do we have a massive wish list of travel destinations and a wealth of research at our fingertips but selection and booking is 100% in our control. I also get my online inspiration where-ever I happen to be, whether that’s at the beach, that cute little cafe I just found or in the dentists waiting room. I don’t even need to be at my computer to book our hotel, flights or rental car anymore. With Webjets latest app on my phone and tablet it’s even easier and faster to make the selection and complete the booking. With all the choices laid out on my screen I can easily compare prices and make sure I’m getting a great deal. When you open the Webjet App and you’re presented with 3 choices; hotels, flights and rental cars. You can use if for any size booking, from finding a last minute hotel bed for tonight to your next dream multi-stop adventure. I really appreciate the effort the designers made to make the App suitable for users on the go rather than just making a standard website fit the screen. 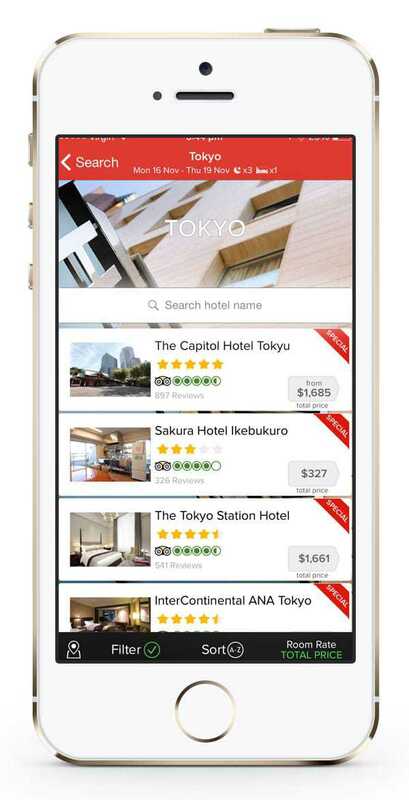 Things like immediately offering your current location when searching for a hotel wouldn’t be much help on my computer at home but when I’m in a new city and looking for a good deal for a night or two it’s brilliant. Are you planning further ahead? That’s no problem for the Webjet App, drop the location you want in the search field, add your dates and number of people and you have your choices. Too many options to choose from? No problem either, use the sort function to choose an order for the list using criteria like price or special offers. 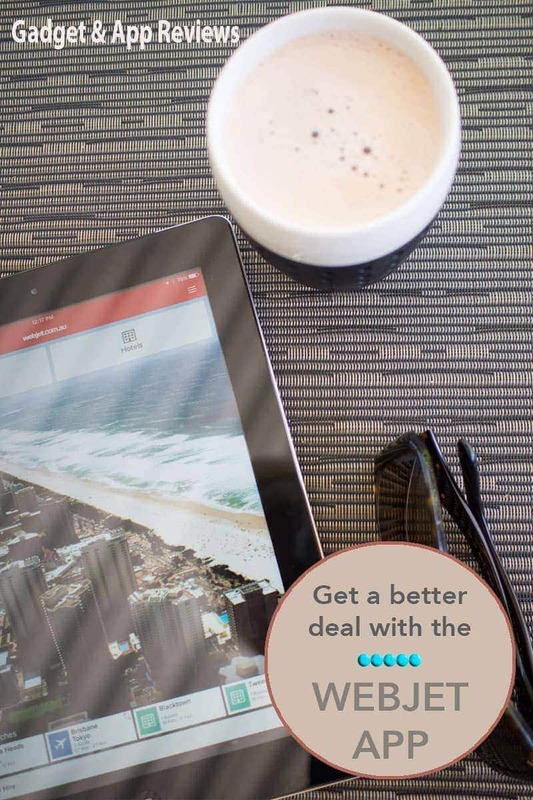 Or you can use the filter options to be more specific, do you only want to see 4 star properties, under $200 with a Trip Adviser rating between 4 and 5? You can do that too. Searching for flights requires you to input your departure and destination airport, dates, number of travellers and travel class preference. You can also select options for one way travel and multi-city which is a great option to have. At the bottom of the screen it will save your recent searches so you can go back to them. I find this feature super useful when trying different combinations to get a good price especially as we have two convenient departure airports locally which can open up some good deals. The aWebjet app returns a wide selection of options covering all the mainstream and discount carriers. The initial sort is by departure time but again you can use the sort or filter functions at the bottom of the screen to drill down into the options that suit you. The results returned are all inclusive prices for the lowest available fare, click through and you can select fares in different seat classes and with different baggage limits. You can also view fare rules from this screen to make sure you choose the one that meets your needs. If I had a request for the developers of the app it would be to make one of the upfront selection criteria be for either ‘checked baggage’ or ‘carry on only’ then use that to populate the prices in the search results returned. While I might admire those that can pack for 3 weeks in the snow in their carry-on I’m not one of them and anything more than a weekend requires checked luggage. Lets be honest, at times my camera kit and technology can challenge the cabin baggage weight limits. We don’t regularly use rental cars so I’ve not booked using this part of the App but it was easy to search. Webjet App offers free cancellation and competitive prices on all the major providers as well as a good number or smaller and budget alternatives. The app itself is well designed. The screens are uncluttered presenting only the details you need meaning you get to the information you want with the minimum key taps. You’re also not overloaded with a whole lot of clutter you don’t need. Of course if you want to know more it’s all there, click through to the hotels own information or skim through what thousands of independent Trip Advisor reviewers had to say about it. Response time is good. The design doesn’t display unnecessary adverts or the flashy gimmicks that are often present in free apps. Those extras not only take up screen real estate on your smart phone and cause distraction but they can slow down the app speed meaning you’ll most likely find Webjet faster than others you use. That’s especially helpful when you’re travelling and reliant on 3G or shared wifi that’s a bit slower than you’re used to at home. 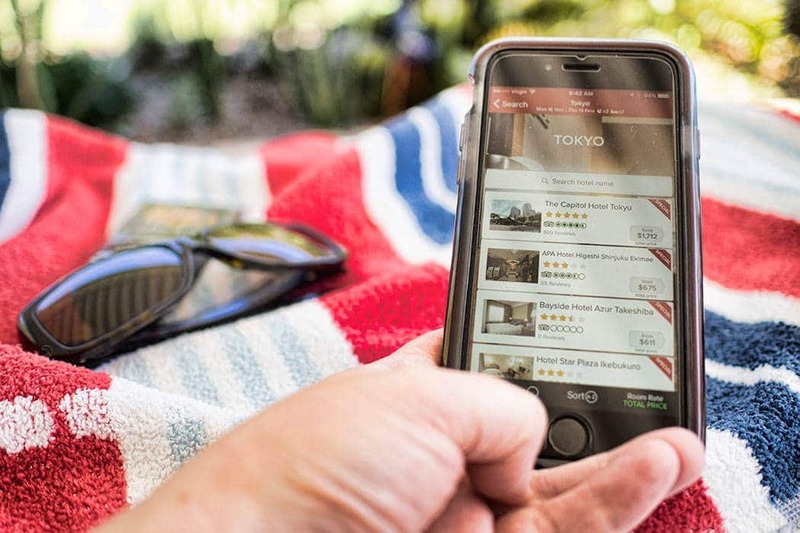 The inbuilt filter used for hotel and flights search results makes it easy to drill down into your destination using a combination of selection criteria that matter most to you. 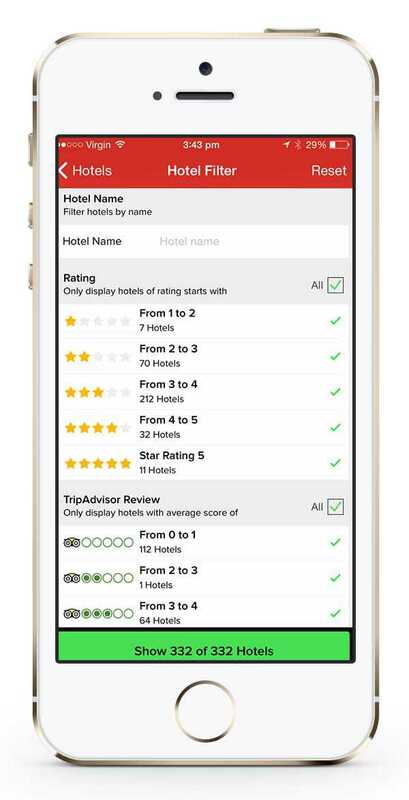 Whether that’s specifics like the hotel chain to collect those member points or variables like the price range, star rating or trip adviser reviews from other travellers. Those hotels that meet your search criteria and have special deals for your travel dates are clearly marked and will show at the top of the list making it easy to pick the best value from the results. Webjet is an Australian and New Zealand travel agency and has an excellent selection of local hotel options including the often hard to find regional areas in addition to the international content. This gives a better chance of finding the perfect place to stay at a price to suit your requirements. The only other negative we’ve noticed using the app is that the display works in portrait mode only and doesn’t allow for pinch and pull functionality which means you can’t expand the text. Many users might not even notice but my eyes had a bit of trouble with the smaller text in a couple of places, we hope it’s something that might consider changing in a future release. You can download the Webjet App for free for your iPhone & iPad or Android device. It’s a handy app for making quick comparisons on the go and presents a comprehensive and well priced selection of inventory. And of course when you find that unmissable deal you can quickly progress through the booking process at very little extra effort. 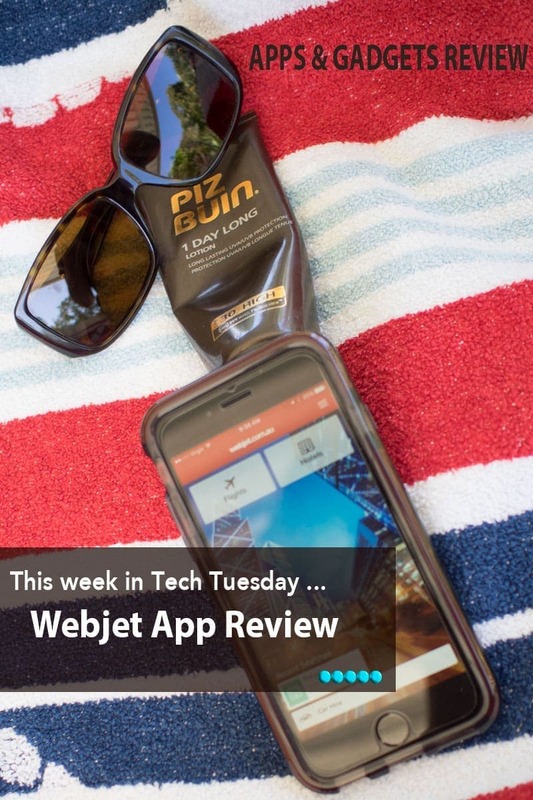 Disclosure: We were asked by Webjet Australia to review their latest Webjet App. As always we only review products that we personally use and all opinions are our own. Next articleHakone Freepass | Is it good value? Good to know! How do you rate/compare Webject versus Skyscanner? It’s a case of best for purpose for me Stefan. For travel around Oceania (Australia, New Zealand and the Pacific Islands) I prefer Webjet. For example if I want to fly direct from Brisbane (a state capital in Australia) to say Narita in Tokyo, Japan. A route I like to travel, Skyscanner will tell me there are no direct flight options for that route whereas Webjet will return me local carriers at a good price. It’s also worth using if you’ve travelled down here and want to get around or find accommodation. On the other hand in other parts of the world Skyscanner is an excellent option. I’m always looking for a better way to find the best price — especially for hotels at the last minute. Sounds like this might just be “the one”! The Webjet app looks like it has been quite thoughtfully put together which is great. I periodically use the Webjet website so this is a great extra app to put onto my smartphone. Thank you for sharing your review! Wow, I have never used this app! Sounds very useful. I do a bit of everything, my favourite starting point for planning it to chat to everyone I meet that has been to the destination and go from there. I love that mobile apps has made it easier for everyone including travelers like us. I haven’t heard of this app before but I’m gonna be checking it out. Thank you for sharing! When I travelled around Australia, the web jet website helped me a lot. it really shows all the deals, times and the possible combinations. It made life a lot easier. I didn’t know they had an app but if I were going to go back to Australia, I would make sure to download it. I love webjet. Well worth trying out Webjet based on your reviews. Downloaded. You are so correct! The choices were so limited years ago. Now, however, with technology we have so many choices. I don’t know how I would manage without my apps. I took a look at the Webjet App and it really has some great features. I have since downloaded it to my iPad. Hope that means you’ll get to travel down under really soon and add Australia and New Zealand to your growing list of countries your seen!